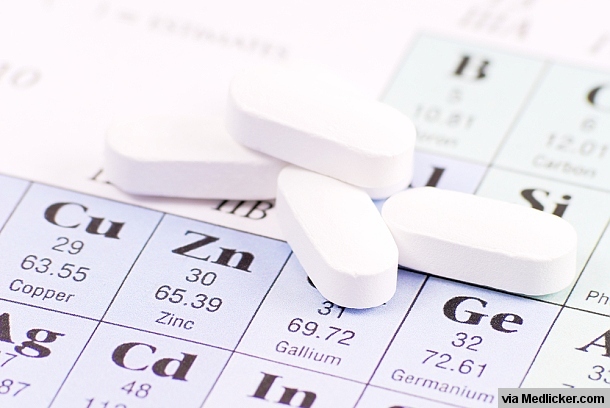 This article provides an extensive overview of zinc deficiency, its symptoms and causes. We mainly focus on various methods for zinc deficiency testing. Zinc is one of the trace minerals of the body, which means that it is present in a very low amount. But still this small amount of zinc is necessary to carry out some vital functions of our bodies. It is naturally found in foods, like red meat and sea food, and can be obtained from other sources as well. An average adult individual requires only minute amount of zinc, which is 8-11 mg per day. This may not sound a lot to you but sometimes getting this much zinc from the food becomes difficult. Zinc is important in controlling the functions of different body enzymes, entities that control all the metabolic reactions undergoing in your body. Some estimates state that zinc controls the function of at least 100 different enzymes. Immune system is another important component of the body systems controlled by zinc. This system makes sure that all disease causing agents stay at length and your body remains infection free. Another important function of zinc is its protein synthesis controlling ability. Proteins make up the most of our bodies and zinc makes sure that proteins are synthesized in a normal manner without aberrations. Zinc also plays its role when your body suffers some wound or laceration. Zinc makes sure that wounds are healed up nicely, without any discontinuities. DNA is the core of our cells and the survival of individual cells and the resultant organism solely depend on the proper function of DNA. When the cells of body divide, DNA replicate too. Zinc, as a part of several enzymes, makes sure that the DNA is synthesized exactly like the original cells. The process of cell division is also dependant on the presence of zinc. No matter what stage of life you’re in, zinc makes sure that you achieve the growth and development benchmarks of that age in a timely manner. Zinc promotes development and growth in childhood, adulthood and pregnancy. The sense of taste and smell also rely on the presence of adequate amount of zinc in the body. Before you can know the diagnostic tests for detecting the deficiency of zinc in the body; you first need to know how the deficiency of zinc presents generally.You need to know the conditions and basic signs and symptoms associated with zinc deficiency. Without knowing these details, you would be just wasting your time and the time and money of your patient as well. As mentioned before, a baseline supply of zinc is necessary for maintaining an ideal immune function. That’s why people with zinc deficiency usually present with complaints like recurrent infections and pneumonia in the children. Wound healing is also impaired in patients with zinc deficiency. If a patient comes with complaints of improper wound healing then one of the basic causes can be zinc deficiency. Common cold is also a very frequent finding in the sufferers of zinc deficiency. Zinc deficiency is also associated with severe diarrhea in children. Results of some studies have shown that decrease in antioxidant content of the body can lead to the development of age related macular degeneration and vision loss. People with gastrointestinal disorders like Crohn’s disease and ulcerative colitis are more prone to suffer from the deficiency of zinc as compared to people with normal gut functions. It’s because such people are unable to absorb zinc effectively from the gut even in the presence of adequate zinc intake. Meat, meat products and sea foods make an important source of zinc. Vegetables are also rich in zinc but the zinc present in them is not suitable for our gut to absorb properly. Since vegetarians strictly eat vegetables and don’t go for meat products, they’re more likely to suffer from the deficiency of zinc. Pregnancy and lactation represents a period when the vitamin and mineral demands of the body increase immensely. It’s because a pregnant or lactating female has to fulfill the requirements of her baby too. If a pregnant or a lactating female is not getting enough zinc from her diet, she is more likely to develop the deficiency of zinc as compared to an average female. The requirements of zinc increase as a baby ages. In the early months, 4-6 months, the daily zinc requirements of a baby are only 2 mg/day. The breastfed milk is sufficient to provide the baby with much needed zinc during this age. However, when a baby grows beyond 6 months, his daily requirements for zinc increase to 3 mg/day. If the mother continues to exclusively breastfeed her child and doesn’t start weaning at that age then the child is likely to suffer from the deficiency of zinc. Some diseases also interfere with the blood levels of zinc. Results of population based studies have shown that people with sickle cells anemia are 44% more likely to suffer from deficiency of zinc as compared to normal individuals. Alcohol interferes with the normal absorption of zinc from the gut. That’s why people who are in the habit of heavy drinking are likely to suffer from a number of vitamin and mineral deficiencies including zinc deficiency. How to Diagnose Zinc Deficiency? Now that you know what zinc deficiency is and what to except in patients, in terms of symptoms, suffering from zinc deficiency; we now move on to discuss the main topic of discussion here. In this section we’ll discuss different ways to make an accurate diagnosis for zinc deficiency. Once you’ve suspected that the patient is deficient in zinc and you’ve reached a preliminary diagnosis, you can then go for a number of diagnostic tests for checking the deficiency of zinc. These tests detect the presence of zinc in different body fluids (blood, plasma, urine) or detect the function that zinc perform in the body (taste for instance). 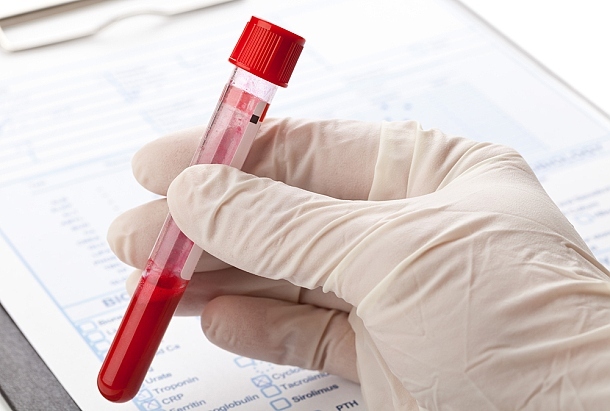 Blood tests for low zinc levels (Blood tests for zinc deficiency including serum and plasma zinc levels). Taste test for zinc deficiency. Urine test for zinc deficiency. Now we’ll discuss all these tests in detail, one by one. This is one of the simple tests for zinc deficiency. In fact it is one of the simplest tests used for detecting zinc deficiency. However, this method is not very commonly used now because it gives false positive results in a number of conditions. The results of the test may vary in different times of the day (diurnal variations) and the results may be altered during diseased conditions like fever. Moreover, the results of the test are not consistent after meals and may fluctuate. Also different other conditions like pregnancy, stress, renal failure, different cancers, fasting and low albumin concentrations can interfere with this test results. In a nutshell, although this test is very simple but is influenced by a number of factors and the reading obtained are not very reliable. Fasting is not required for this test, as required in other tests like detecting the level of blood glucose. In this test a minimal quantity of as much as 250µL (minimum amount of blood) is taken out. This blood is then examined for its content of zinc through atomic absorption Spectroscopy. The reference level of serum zinc, as obtained from this test, is 70-150 µg/dl or 10.7 - 22.9µmol/L. If the results come out to be less than 46µg/dl or 7 µmol/L then it shows that the person is suffering from zinc deficiency. This test is the mainstay in the detection of zinc deficiency. The results obtained from this test are very accurate and very reliable. The problem associated with test is that it is only able to detect major changes in the zinc concentration in the blood. This test is quite insensitive to marginal variations in the blood concentration of zinc. It’s because plasma levels of zinc don’t undergo major changes until the overall body concentration of zinc changes drastically. In other words, it can easily detect patients with major zinc deficiency but can’t detect patients with marginal changes in their zinc level. So if the results of this test label a person “normal” then he may actually be marginally deficient in his/her body zinc content. Like serum zinc test, the levels of plasma zinc test are altered by a number of conditions or disease. For instance patients with thyroid dysfunction (either hyper or hypothyroidism) can present with derailed zinc profile of their plasma. Similarly, patients suffering from some kind of acute infections, liver disease, anemia (mostly pernicious), and different cancers can have an altered plasma zinc profile. In addition, a number of other physiological factors can influence and change the plasma levels of zinc. These factors include stress, time when the sample was taken, pregnancy and eating meals before sample taking. One of the most important things that would alter the results of plasma zinc test is zinc or multivitamin supplements. These supplements would show an increase in the plasma concentration of zinc in patients with decreased plasma concentrations. That’s why zinc or multivitamin supplements should be avoided for at least 24 hours before taking the test. The reference range for this test is 90-150µg/dl or 13.8-22.9 µmol/L. Clinical signs of zinc deficiency may start to appear when the concentration of zinc in the plasma drops down below 65 µg/dl or 9.9µmol/L. Characteristic symptoms of zinc deficiency, like loss of sensation of taste and smell, anorexia, rashes on the skin and diarrhea, start to surface when the concentration of zinc in the plasma drop below 33 µg/dl or 5µmol/L. This test is also called zinc assay test. The concentration of zinc is very tightly regulated in the body for the synthesis of proteins and DNA. There is no system for the storage of zinc. Therefore almost 98% of the zinc in the body remains sequestered in the cells of the body. Ordinary laboratory methods that use serum or plasma are practically not able to detect 98% of the zinc in the body. Moreover, these tests are influenced by a number of variables and a number of diseases and ailments can change the results of the tests. Therefore, there was a need of a more accurate test that could overcome all these shortcomings and could detect zinc deficiencies in patients with no apparent changes in their plasma or serum zinc level. In the Lancet medical journal a procedure was devised called Liquid Zinc Assay that was meant to detect physiological zinc levels in the body. To perform this test the patient is asked to taste a teaspoon on zinc assay. The patient is asked to tell the type of taste he experiences. Grade 1: The patient tells that the assay didn’t arouse any specific taste or he says that the assay taste just like plain water. If this is the case then the patient is suffering from serious deficiency of zinc. Grade 2: This grade represents moderate deficiency of zinc. In this grade the patient doesn’t experience any immediate change in taste but after 10 seconds he starts to experience different kind of tastes. Some patients describe that taste as metallic or dry. While others describe it as if they have eaten baking soda. Grade 3: This grade represents minor deficiencies in the zinc content of the body. In this grade the patient experience only slight taste soon after the test is performed but the taste starts to get intense after 10 seconds on the test. Grade 4: If the patient is found to have this grade, it means he is not suffering from zinc deficiency. In this grade the patient experiences a strong, intense and unpleasant taste right from the start. The taste is sometimes so unpleasant that patient rushed to rinse his mouth. If the patient shows these results (except grade 4) without previous supplementation then it is quite obvious that the person is eating a diet deficient in zinc. Also if the person had a positive response previously but the response ameliorated after supplementation it clearly means that the quantity of zinc was very deficient in his/her diet. The results of this test are not affected by conditions as mentioned in the tests above. If the person has filling in the teeth containing mercury, it can lead to diminished response to this test and false negative results. As mentioned in the earlier sections, one of the basic reasons that you might be suffering from zinc deficiency is some intestinal condition. 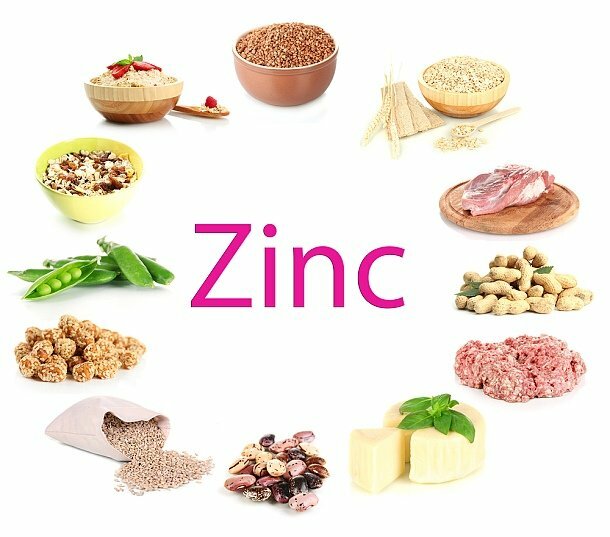 Zinc gets absorbed from the intestine so any malignancy or disease of the gut that interferes with the absorption function of the gut, such as Crohn’s disease and ulcerative colitis, can lead to poor absorption of zinc from the gut. All this will result in decrease in the concentration of zinc stores in the body. Zinc tolerance test measures the ability of the body to absorb zinc once it is taken in the form of food. For this the patient is asked not to eat anything for at least 12 hours before the test so that dietary zinc might not interfere with the results of the test. At the start of the test basal level of zinc is measured in the patient. The patient is then given zinc preparations or zinc supplements. A period of 3 hours is given so that zinc is absorbed from the gut and is distributed into the body tissues. The level of zinc in the blood is measured again after 3 hours. No or minimal change in the zinc concentration means zinc deficiency due to poor absorption from the gut. Zinc has a natural tendency to deposit in some tissues of the body. Hair is one such place that is rich in zinc and can be used for testing deficiency of zinc. However, testing zinc through this method is quite difficult because the normal skin or hair care products used are normally high in zinc content. Use of such products can give a false negative result in the patients of zinc deficiency. This method is most suited for research purposes in which external factors can be tightly controlled. Another factor that influences the outcomes of the test is nutritional status of the patient. If the patient is severely malnourished or is suffering from some nutritional disorder then this test is of no value. It’s because the normal growth of hair is dependent on adequate supply of proteins, vitamins and minerals. Hair test can’t be performed in such individuals. For this test a sample of hair is required. The minimal amount of hair needed is 0.5 grams. Hair is usually taken from the scalp or the nape of the neck. In the second step of this test, hair sample is tested for the content of zinc and obtained results are compared with the reference values. The reference value of zinc for this test is around 150 - 240µg/gram; any value lower than 70 µg per gram of hair sample is an indicative of zinc deficiency. Zinc is excreted in the urine too. So detecting the amount of zinc in the urine can be one plausible way for detecting deficiency of zinc in the body. The results of this test shouldn’t be considered final because these results are altered by a number of factors. For instance zinc usually forms complexes with proteins that are excreted in the body. So any condition that increases the excretion of proteins in the body can also lead to increased excretion of zinc. Moreover, any catabolic state (destructive stage) can also lead to increased excretion of zinc in the body. A urine sample is taken and is analyzed for the zinc content. The concentration of zinc is then compared to the standard value. The standard value of zinc in urine is 3.3 to 21.4 µmol/24 hours. As mentioned in the text before, zinc is an essential component of several important body enzymes. Serum alkaline phosphatase is an important body enzyme that depends on zinc for normal function. So decreased or diminished function of this enzyme can indicate zinc deficiency. It has been mentioned before that zinc is an important constituent of immune system and its deficiency can lead to impaired function of immune system. Leukocytes are the main entities that make up the immune system of human body. Zinc is present in leukocytes too. So content of this mineral in leukocytes can correlate with zinc deficiency. However, this test needs relatively larger amount of blood sample and needs careful handling.